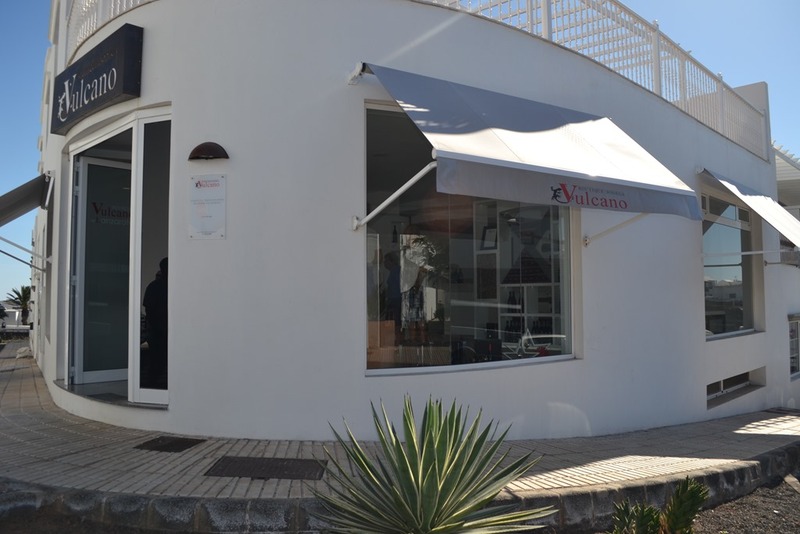 Bodega Vulcano de Lanzarote is a boutique winery situated in the centre of Tías. Vulcano is fairly new to the wine industry, they’re only six years old, however this family have a passion for Lanzarote wine and a desire to shake things up a bit! It’s unusual to find a bodega in an urban location, their stylish boutique winery can be found just off the Avenida Central in the heart of Tías. We met Nereida last week during our annual bodega hopping trip to taste the new wines of Lanzarote, where we had an opportunity to ask some questions about their winery. We discovered that the family all live in and around the municipality of Tías, which is why it was important to locate their bodega in their local area. The family started producing wine in 2009, in their first year they produced 7,000 bottles of wine, this year Bodega Vulcano have produced 100,000 bottles. At first the family wanted to play it safe, producing typical wines that Lanzaroteños liked to drink, then they started developing their own style and taste. In 2015 Vulcano’s project was to open their boutique style shop and their latest project is a new bottle, designed exclusively for them in Italy. The new bottle has the volcano outline etched into the neck of the bottle and their name around the base. The name Vulcano may seem fairly obvious why it was chosen as it translates to volcano, but it is actually an anagram of the family’s names. Bodega Vulcano market themselves as producing “wines with soul & identity”, one of the things that they do it to hide a message on their corks. These messages include love, friendship and success, the idea behind it was to give the wine waiter some personality when presenting the wine, as sometimes they can be a bit staid! Something else that makes Vulcano different is that the winery have two fermentations a year, so that their wines are fresh and ready to drink all year round. The bodega keeps half of the must refrigerated after the first fermentation in September / October until April, when they begin bottling again. A dry white wine made 100% from Malvasía Volcánica the current stock is a limited edition, it was harvested in 2014 and bottled in April 2015, it’s a perfect wine to enjoy this Christmas. Ideal served with fresh fish, sushi, cheese and paella. 12% alcohol content. Taste: Good structure in the mouth, fresh, balanced acidity, you can appreciate the white flowers and fruit. Long and persistent. This medium sweet white wine is made from 10% Moscatel de Alejandría and 90% Malvasía Volcánica. Ideal as an aperitif served with light snacks, seafood and semi cured cheeses. 12% alcohol content. A young rosé made from 100% Listán Negra. Ideal accompaniment to fish, white meat, rice and pasta. 13% alcohol content. A young red made from 100% Listán Negra. Food pairing with red meat and mature cheese. 13% alcohol content. A sweet dessert white wine produced from 100% Moscatel de Alejandría. Serve with desserts and cheeses. 15% alcohol content. This coming year is one of consolidation, the family have made no secret of their rapid expansion and its time to reap the rewards from the last six years of hard work. You can buy their wine directly from the bodega in Tías, they also offer a delivery service island wide in Lanzarote if you want to order by telephone or online with them. Their wine is made to drink predominantly in the Canary Islands, they have a distributor on the mainland in Valencia for export to Europe. Bodega Vulcano can be found on Calle Victor Fernández Gopar nº 5 in Tías, Lanzarote. 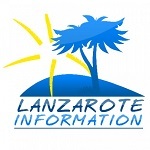 Read about wine tours in Lanzarote. Villa 509 is a fabulous very large villa in Puerto Calero, ideal for a large family to enjoy a luxurious break., It features it's own bar with pool table!